Professional Data Recovery Service in Mumbai. Hard Drive Data Recovery - Data loss from hard drives is very common problem. We recover data from all type of hard drives desktop, Laptops, external hard drives etc. We recover data from hard drives from all manufacturers, make and models including Western Digital (WD) hard drive, Seagate hard drive, Dell hard disk, Toshiba hard drive, as well as HGST hard drive, etc. All complex cases which requires hard drives to be opened are operated in our certified CLASS 100 clean room labs. SD Card Recovery - Stellar Data Recovery Mumbai recover lost, hidden, or deleted files from SD card. SD cards are most preferable data storage device used in DSLR, smartphones, tablets, camcorders, and other portable devices. We recover deleted files from SD cards of all brands including SanDisk, Samsung, Kingston, Sony, Transcend, etc. If your SD card is physically damaged, you need help of professionals to get back your data. Pen Drive Recovery - We provide Pen Drive Data Recovery service in Mumbai for recovering data from Monolithic USB pen drives and Traditional NAND USB Pen drive. Our data recovery experts recover deleted files, deleted photos, and deleted videos from damaged pen drives and corrupted pen drives. We perform data recovery operation on all pen drives like Transcend, Kingston, Sony, HP and other brands. NAS, SAN & RAID Recovery - Our data recovery Mumbai center helps you in recovering data from RAID Server, NAS Server, and SAN Server. We understand the server data storage structure and perform data recovery from large servers in quickest possible time. We have state of the art data recovery tools to get back your data from large servers. 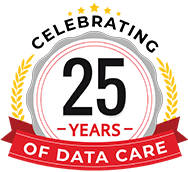 We are the only data recovery company in India, which is ISO 9001 & 27001 certified. 5/5 March 07, 2019 I AM VERY IMPRESSED WITH THIS SERVICE. SPECIALLY BY JYOTI AND HEMANGI.THANKS A LOT. 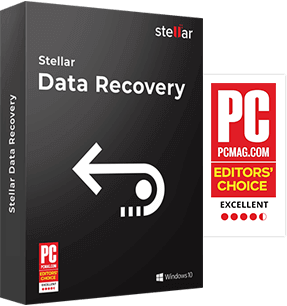 5/5 February 22, 2019 I am satisfied with the data recovery process from STELLAR & Customer Co-ordination also. 5/5 February 19, 2019 All data recovered successfully...Thanks for recovering my data. 5/5 February 18, 2019 Service is good. Excellent support. 5/5 February 18, 2019 Best job by Stellar thanks for my data recovery.